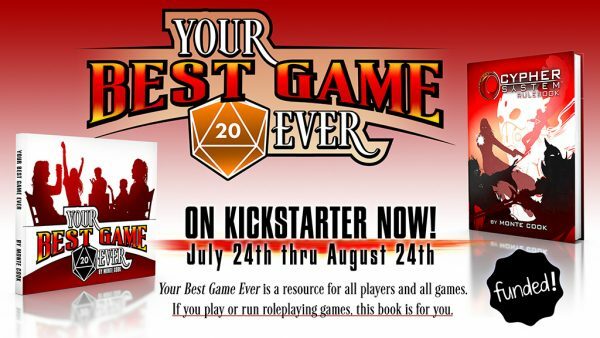 Update: Your Best Game Ever is on Kickstarter now! We have some exciting news to share with you. 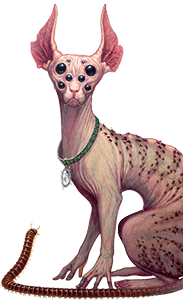 Even as we send Invisible Sun Black Cubes to Kickstarter backers, and get ready to do a massive fulfillment of our Numenera 2 Kickstarter this month, we’re also thinking about the future. Specifically, products that will come out next year. To that end, Monte Cook Games has an exciting new product to announce: A book unlike anything we—or anyone else—have done before. 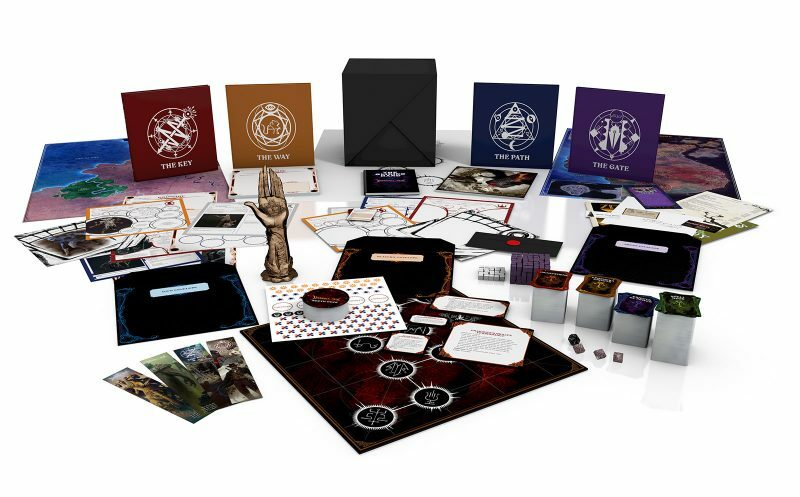 We call it Your Best Game Ever, and it comes to Kickstarter this month. Your Best Game Ever is not your typical RPG sourcebook. It’s not a book with adventures, spells, creatures, or magic items. It’s not a book for characters at all, but a book for players! If you play or run roleplaying games, this book is for you. Inside this gorgeous hardcover, suitable for your coffee table or your gaming table, you will find advice and suggestions for enhancing your RPG experience at the table and away from it. 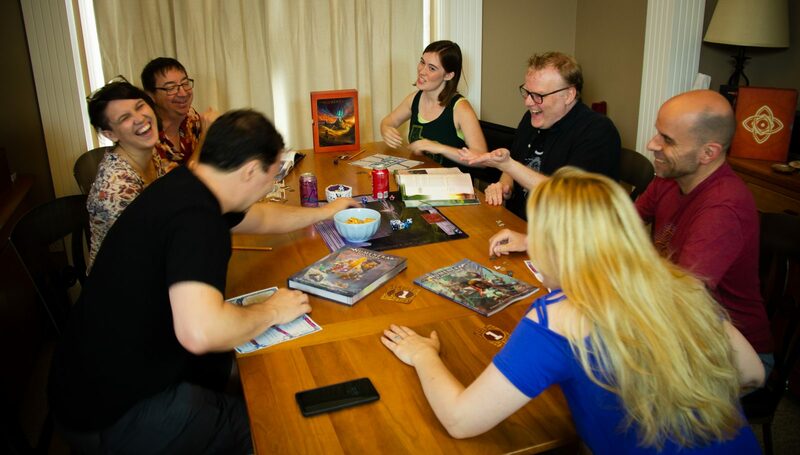 This is an insider’s look at everything that isn’t part of the game rules—building chemistry in your gaming group, making a character you will love and remember forever, running engaging and exciting games your players will always look forward to, creating thrilling adventures, finding all the right ideas, hosting memorable game nights… and that’s just for starters. You’ve been gaming for a while now. Maybe even years. You get the concepts, and you understand the rules. No one needs to explain the dice to you. Your Best Game Ever embraces the hobby you love, and provides real tips, immediately usable advice, and hands-on pointers you can use at your game table. 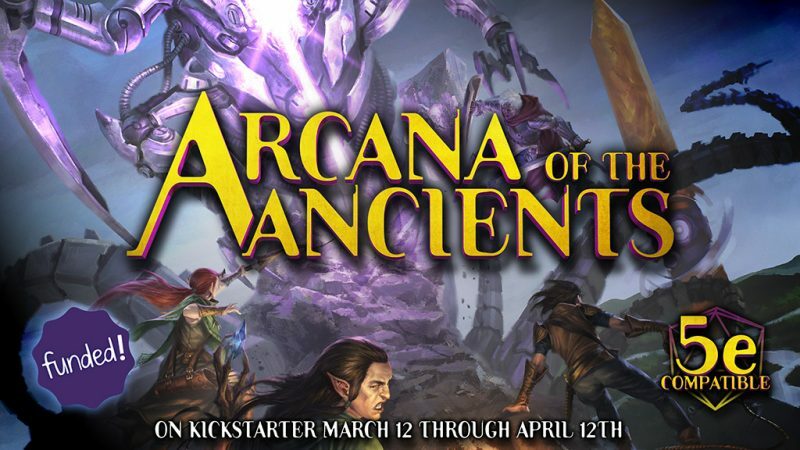 You’ll find everything here: enhancing immersion, creating characters with depth, worldbuilding, designing rules, dealing with personality conflicts that arise at the table, and probably the most exhaustive guide ever for running and playing games online. And loads more! Your friends play RPGs. You’ve maybe watched some streaming games, or given it a try a few times. You get the general idea, but where do you go from here? How do you really get into this hobby the way so many others have? This book will give you everything you need to choose the right game, fit into your gaming group or start your own group, and get you going on the fast track to being a great gamer. Either Way, You’ll Love this Book! Your Best Game Ever will be divided into general game topics along with sections on being a player and being a game master. There’s even a section on designing your own game—and getting it published. 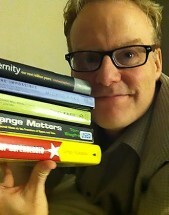 And this isn’t just a stuffy book on theory, either. You’ll find actual suggestions you can use to create better characters with their own interesting stories; real recipes you can make for game night (and spruce them up for your genre of choice); specific suggestions for music and ambiance depending on the genre; plot ideas; character ideas; and other ready-to-use material. All bound up in a volume as complete, user-friendly, and beautiful as only Monte Cook Games can make it! And it’s not just MCG’s outlook on gaming. We will be working with a fantastic group of seasoned pros from every corner of the industry, with different opinions, outlooks, gaming styles, and life experiences. Their insights will round out Your Best Game Ever, making sure it’s relevant to you regardless of your approach to gaming. In short, this book will make you a better gamer. 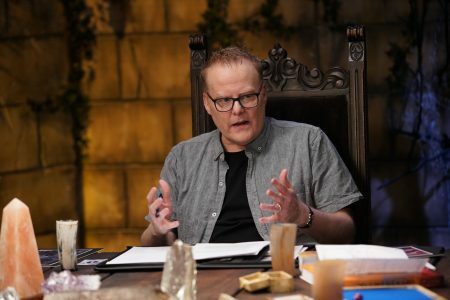 You’ll find ways to create and manage a great game group, tricks for game prep (and what to do if you haven’t prepared! ), tips for gaming online, understanding and managing game balance, and taking everything around you and incorporating it as inspiration for your game. Regardless of what game you play, how you play, or even where you play, this book will offer you a wealth of advice and a plethora of ideas. It’s something no tabletop RPG shelf should be without. With the ideas and sensibilities built into Your Best Game Ever, we want to also fund a brand new Cypher System Rulebook. We’re not changing the rules, so if you’re happy with the CSR you have, you’re still fine. But the Cypher System Rulebook will need to be reprinted fairly soon anyway, so why not make it even better? 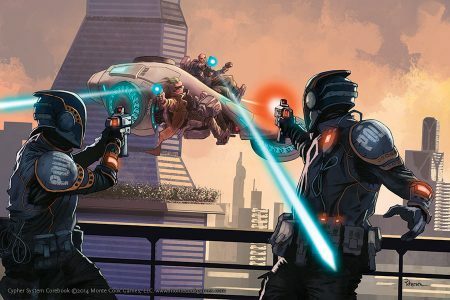 In this new corebook you’ll find some of the cool additions to the Cypher System we’ve made for Numenera Discovery and Numenera Destiny, like player intrusions and new character abilities. 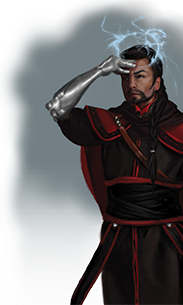 And we’re also streamlining and enhancing the way GMs and players can customize foci so that it’s really easy to create precisely the focus you want for whatever type of character in whatever type of game you’re playing. 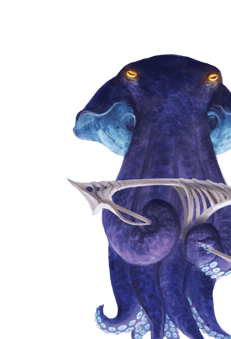 And that’s just for starters—look for more information in the coming weeks on some of the interesting Cypher System ideas we have planned. What does Monte Cook Games do best? Create unique worlds and settings. 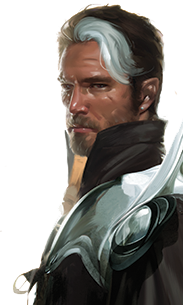 If the campaign meets its initial goal, you’ll see some really interesting stretch goals for additional books. (You’ve seen our big Kickstarters, right? This is what we do.) New genres. New worlds. New adventures. All intended to help you run or play your best game ever.